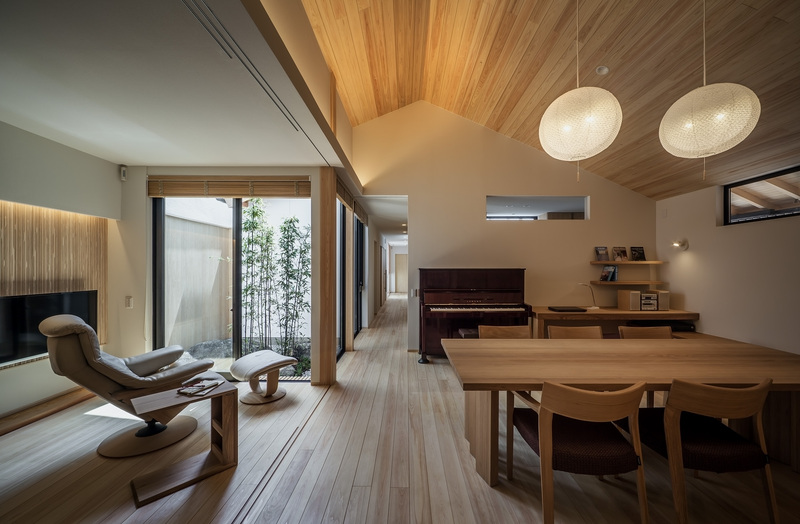 This is a housing for a married couple and their 2 children in a city in Osaka. 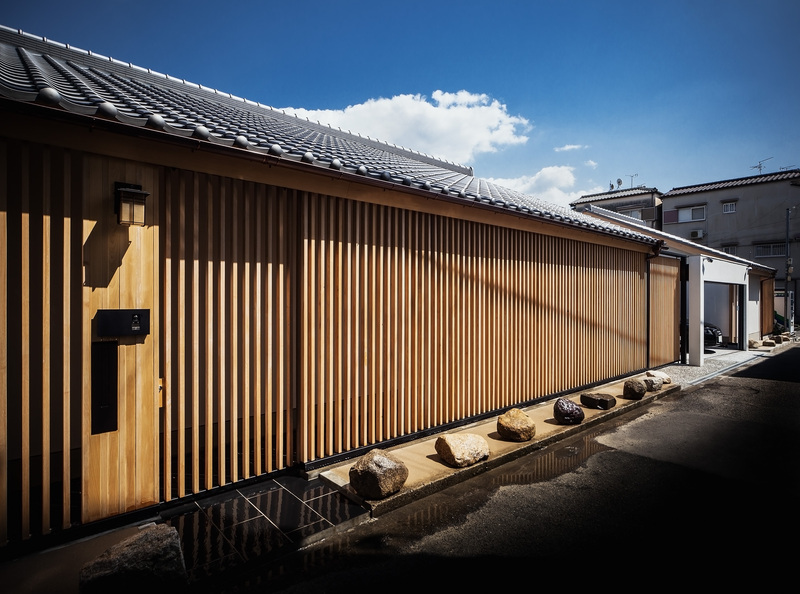 Its eaves that are set low and the way they spread horizontally is one of the beautiful points of Japanese architecture. Our theme was “the living in the flat building”, so that this characteristic can be expressed. 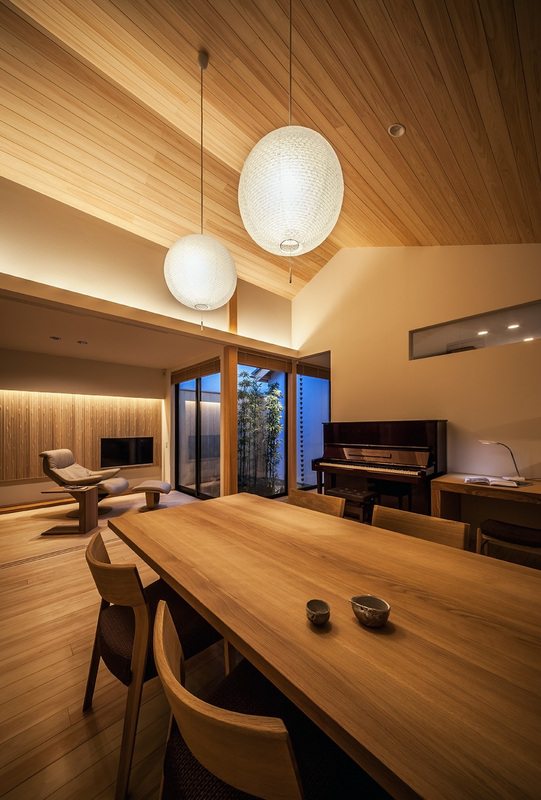 For example, in a flat building that is not so high in heights, enough light and wind can be gathered inside, from a garden, even though it is small and surrounded by walls. So by placing multiple gardens, we aimed for a housing full of light and wind not only in the dining room and the living room, but also the entrance, the kitchen, bathroom, and each of the bedrooms. 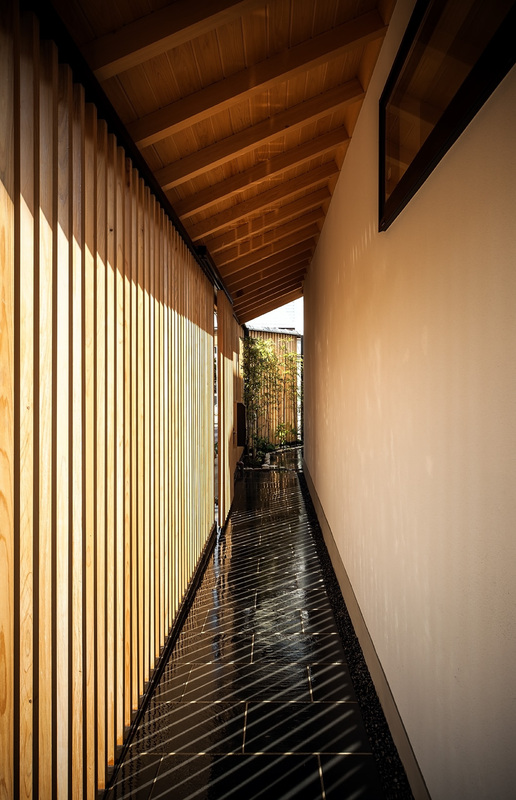 The gardens are: Black bamboo and mossy rock / Lattice and Japanese dogwood / Autumn leaves and lanterns / Big rock where the tortoise dwells – they all have different features and were designed to belong to each members of the family, making it “A house with characteristic gardens”. In addition to this, since it is a flat building, all rooms are barrier-free, making the house even more attractive. 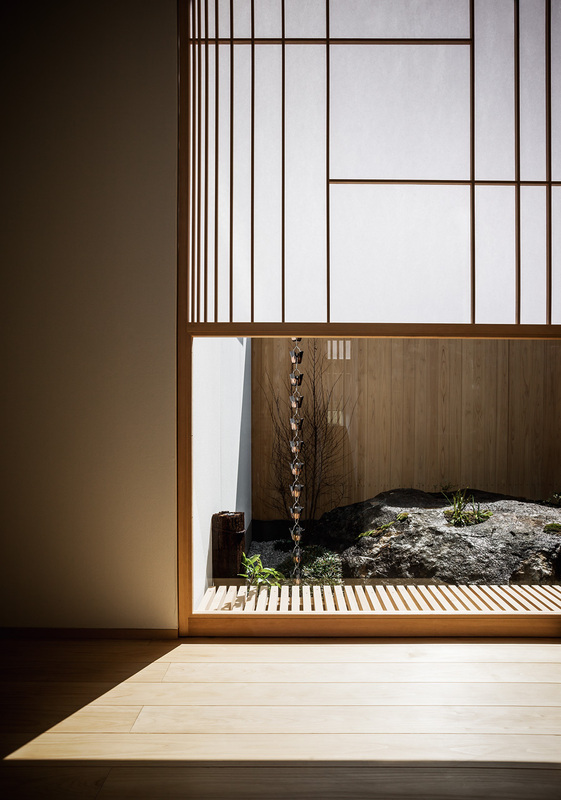 Each of the 4 gardens that bring in light and wind into the building belongs to the family members. Lattice and Japanese dogwood garden: This is the wife’s garden that has Japanese dogwoods and black bamboos with wooden vertical lattice in the background. 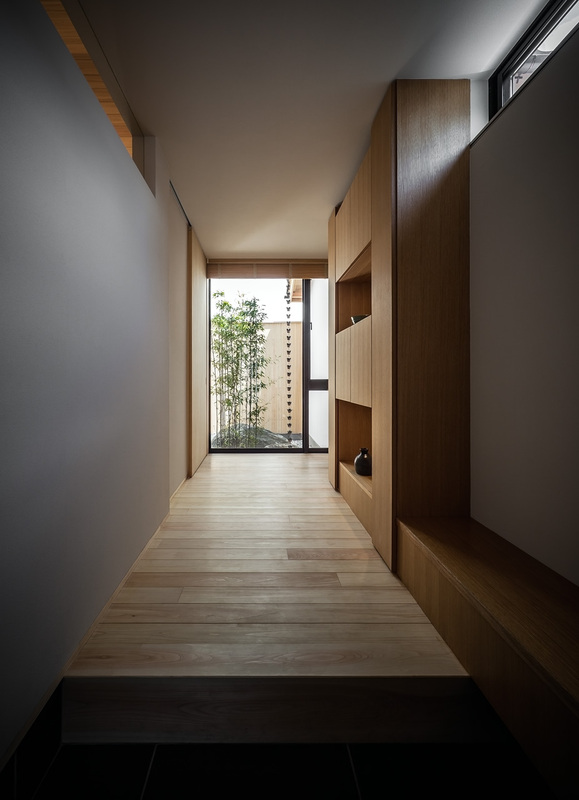 The black bamboos play a role of hiding the space from outside. 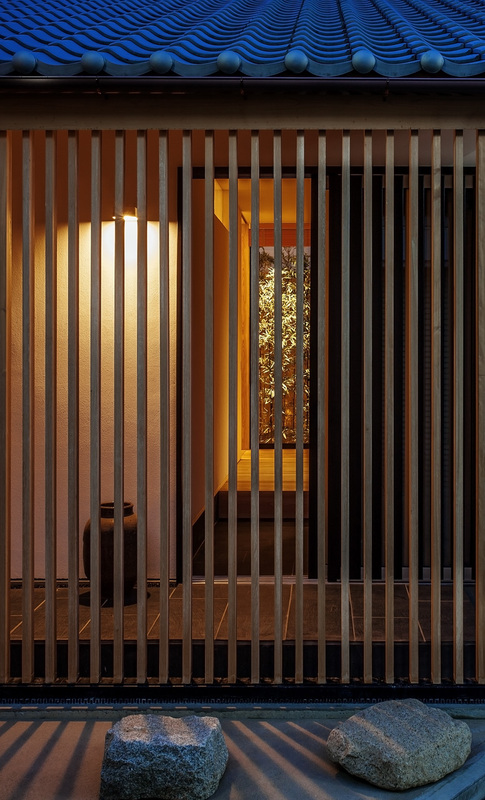 Black bamboo and mossy rock: This can be seen at the far end after entering the front door. The neighbor’s house right next to the house is 2 stories high, so it does get a little dark, but we took advantage of it by making it a mossy and moist garden. This is for the husband who likes Japanese gardens. The garden with the big rock where the tortoise dwells: This is a garden making good use of the existing huge rock. This is for the daughter. The area next to it is also a garden, so it is very light and suitable for the tortoise to sunbathe on the rock. 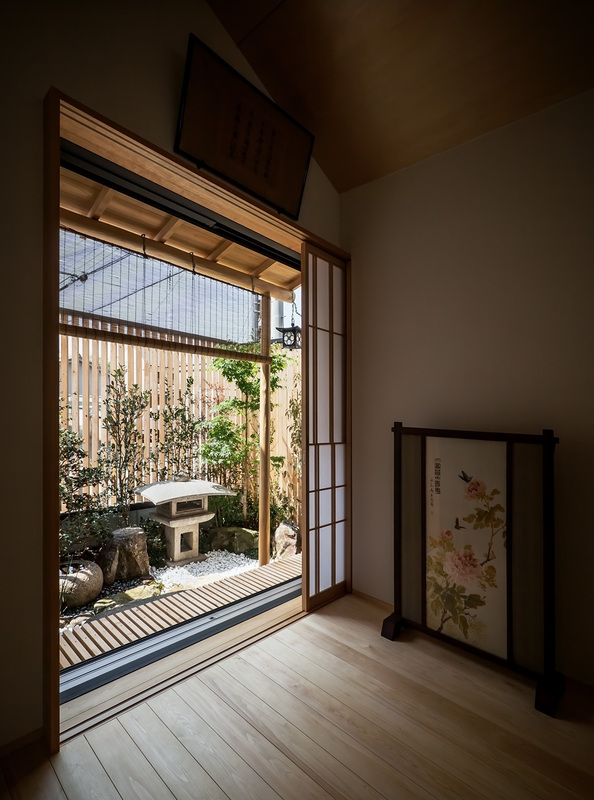 Yukimi-shoji is used where it faces the hallway, and the line of sight is controlled by putting a high window in the bathroom. We planted tall stewartia and covered the area with cobble stones, making it a modern Japanese style garden. Autumn leaves and lanterns garden: We planted a big amber that is about to arch outside. The existing stone bridge and the lanterns are also used to design a Japanese garden. 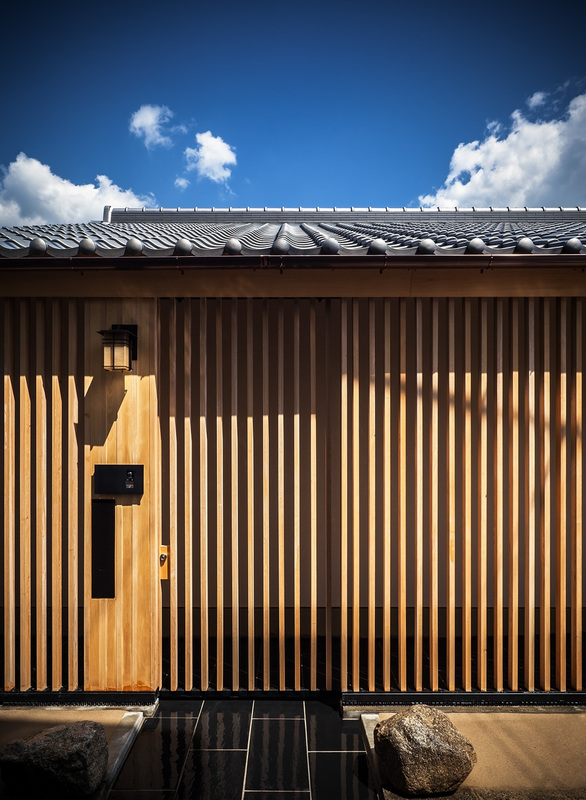 It appeals to the street through the louver. This is a garden for the son who likes Japanese gardens. 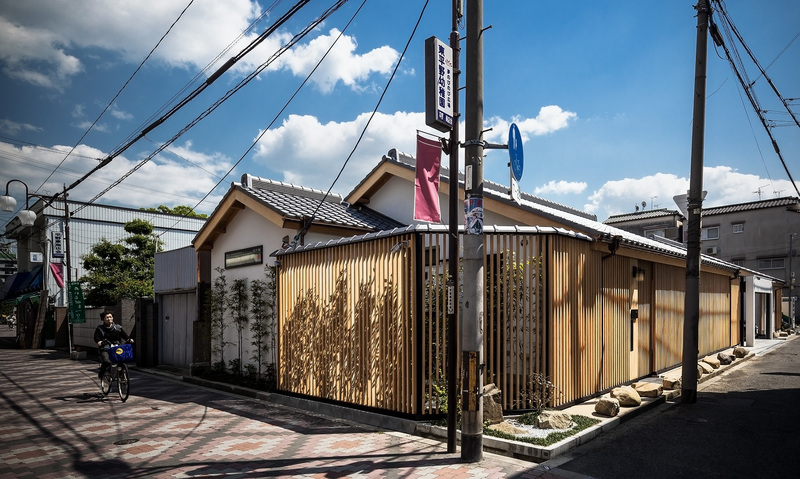 Our house, the house on Yamamoto Street can be viewed as the seki.design show room. Please feel free to drop by. We are actually living here so please make an appointment. Please book your appointment from the contact page.